2017 was filled with challenges and Chinook managed to overcome them. The entire team is currently working very hard to meet new challenges and deliver a brand new Chinook 8! We thank you for your support and wish you happy holidays! Here is the final video of racing aeolus 2017! 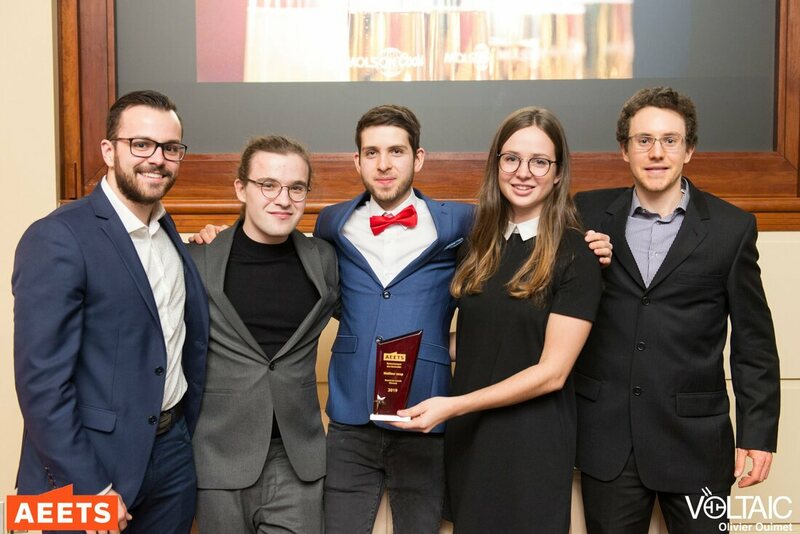 Chinook team started strong in 2018. More motivated than ever, the members have begun the manufacture of the Chinook 8 chassis! The latest pieces of additive manufacturing came back, the transfer case is almost done, the shells of the diffuser are back from cooking and more! February looks busy with new mechanical and electrical projects in order to have an even better Chinook 8 for Racing Aeolus 2018! 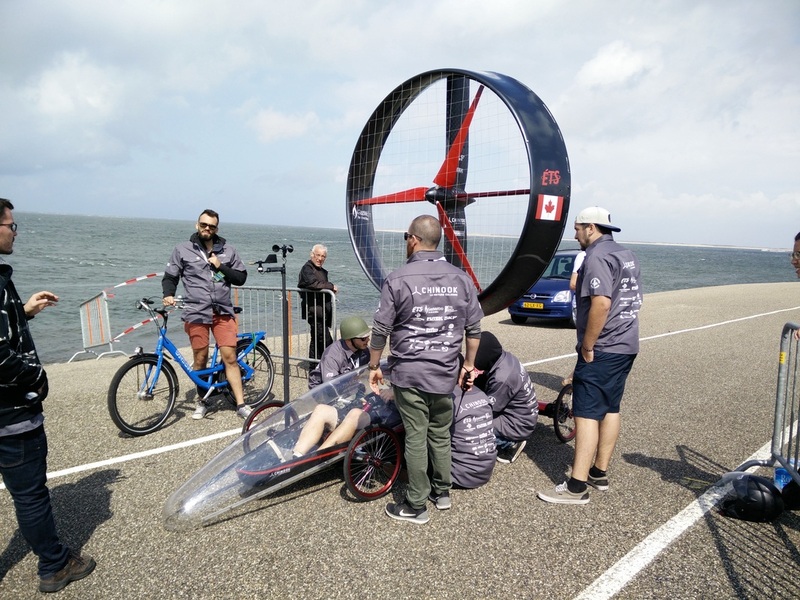 Den Helder’s Racing Aeolus 2016 was a real rollercoaster for Team Chinook ÉTS. 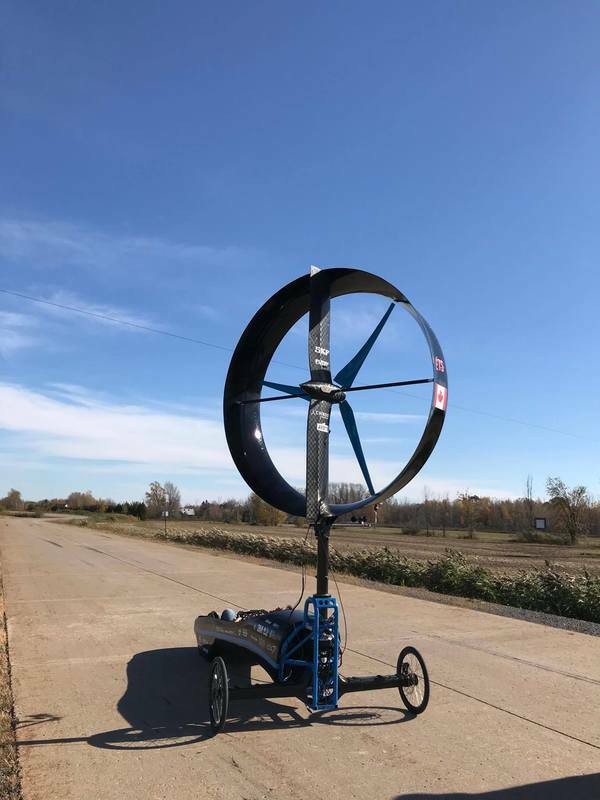 This year, we integrated two new systems to our wind powered vehicule: an «electronic assisted rear-wheel steering» and a set of low wind blades. The rear steering system allows the car to remain in the line of wind at all time during the race. As for the new blade set, it has been designed to be more efficient for light winds. Upon our arrival in Netherlands, an important piece of luggage was missing. The bag contained critical parts of the rear steering and the drivetrain which prevented us from testing before the qualifications. Not finding this luggage wouldhave implied no competing for us. After four days of back and forth calls with the airport’s lost and found department, we were notified that it had been retained in Montreal and then sent to Amsterdam Schipol. 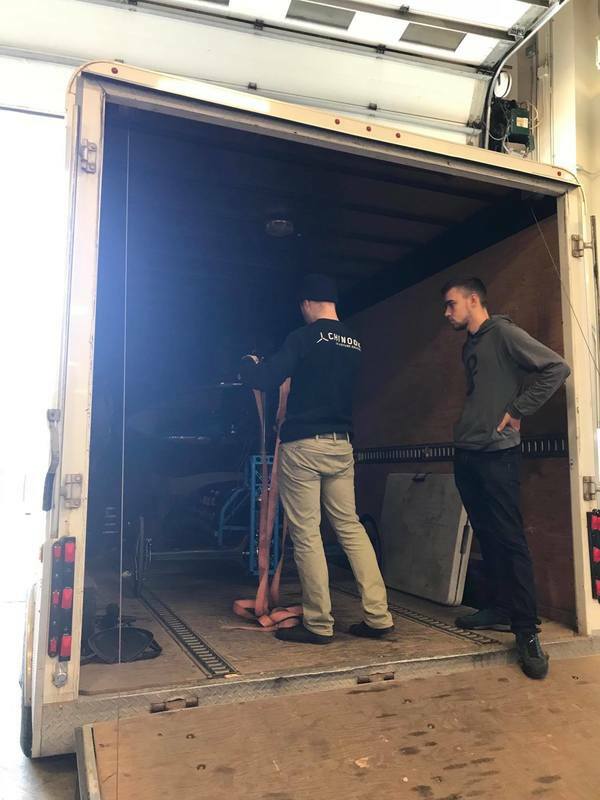 We sent two members of our team to the airport. As the lost and found departement still could not trace the bag, our teammates found the luggage laying on the floor randomly. Unfortunately, some of the drivetrain parts were damaged. The following hours were a wild ride to repair the parts and put the vehicule together. We had to act quickly in order to make the minimum amount of runs that would allow us to qualify. 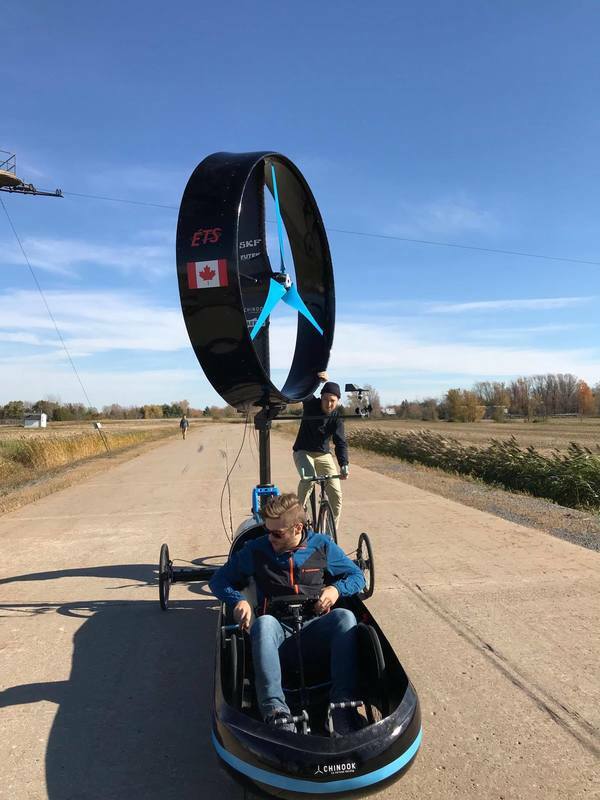 When we were finaly ready to go, the wind was so light that we could not complete a lap even with our low wind speed blade set installed. On the last day, a strong wind with peaks at 45 km/h was blowing the track. We completed the most laps of all teams and set an impressive 88% average of efficiency, going nearly 40 km/h. Since we were not able to qualify, we could not finish in front of the qualified teams. Even if we did the second best score, we finished fifth overall. 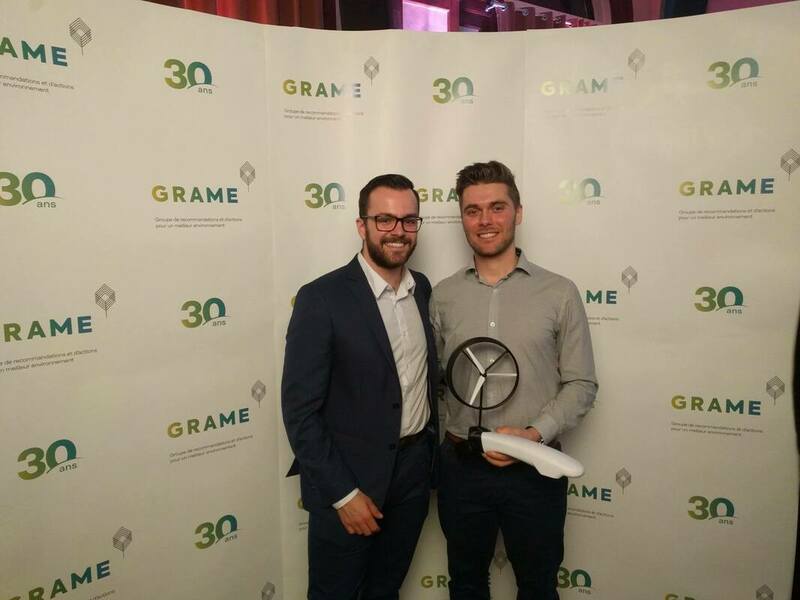 However, our efforts were not in vain as the other teams voted us for the most innovative vehicule, allowing us to receive the Gerard Broers Award. After having overcome all these challenges, we are proud of what we accomplished at Racing Aeolus 2016. We sincerely thank all our partners, our families and friends for all the support they have given us throughout the year. Despite circumstances out of our control this year, we managed to add another award to our collection. We are already focused on next year’s event. Follow us on our social networks to see what’s new for our seventh prototype. The english section of our website is now online for our international folowers!